‘Complex scientific concepts explained using only the thousand most used words in the English language.’ says the header of an interesting blog that is an extreme version of explaining one’s work in simple words. It was back in my Masters that I was made aware of the importance of doing so, courtesy my guide. 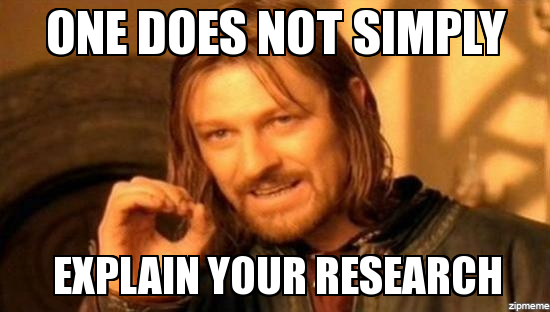 He pushed us to explain our research lucidly to a layman or a colleague. I’m not sure how good I was, but it was always a good conversation starter! This blog is a good opportunity to begin and I’m surely going to try it out. Here is the link. The real challenge is to write about your work without using words that you generally take for granted, such as ‘species’ or ‘behaviour’. Curiously the f-word was allowed (not that it matters to explain your work though)! If you do end up submitting a post there, do paste it in the comments of this blog too.